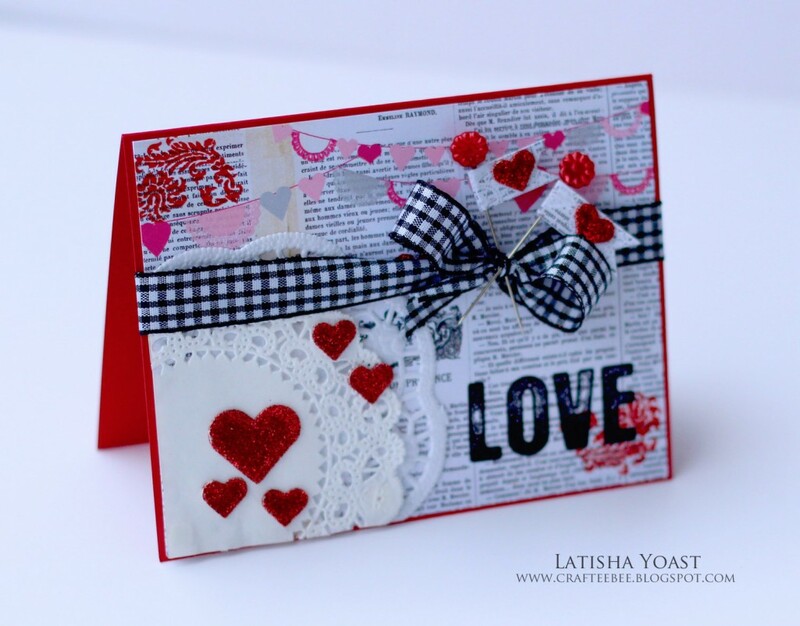 Latisha here, just popping in today to share a fun Love card using the new 3D Foam Hearts. 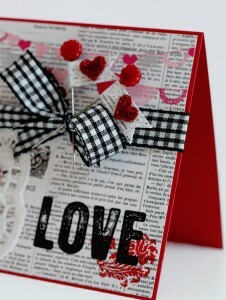 It is perfect for an Anniversary card, or Valentines Day. Plus, I’m demonstrating how to use your adhesive on the outside. Meaning, I’m using the adhesive as an embellishment. Pretty cool right? Before, I adhered my 3D Foam Hearts to my card, I peeled the top layer of the foam heart off, and sprinkled red glitter over them. I used a fine glitter and it worked perfectly. I made my own little stick pin banners using pins I had laying around, coordinating pattern paper, and then added the hearts. 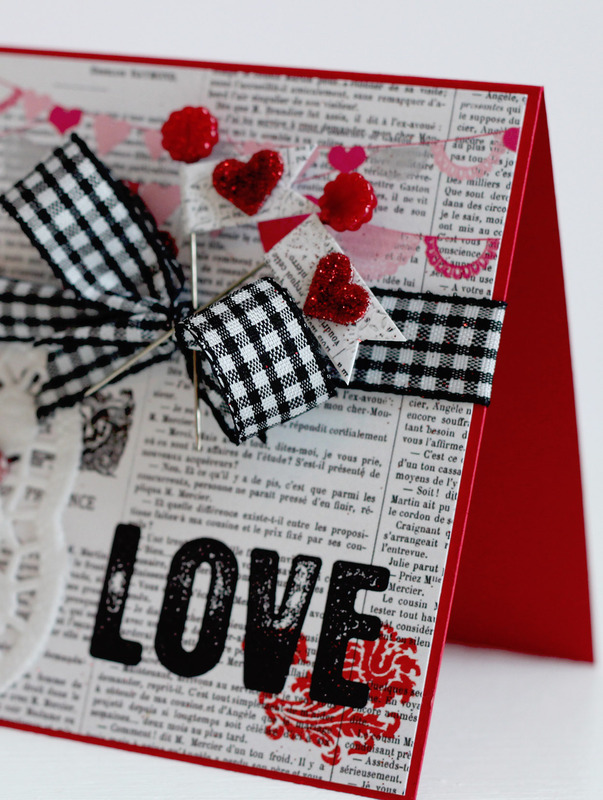 Such a fun embellishment to create. The stamps are from Technique Tuesday, and the pattern paper is Pink Paislee. This entry was posted in 3D Foam Shapes, Cards, E-Z Runner® Dispensers, Embellishments, Spring, Summer, Wear your Adhesive on the Outside and tagged 3D Foam Hearts, Anniversary, Cards, E-Z Runner Permanent Strips, E-Z Runner Permanent Strips Refillable, Glitter, Latisha Yoast, Love, Pink Paislee, Technique Tuesday, Valentine's Day, Wear Your Adhesive on the Outside. Bookmark the permalink. One Response to "Love Card"